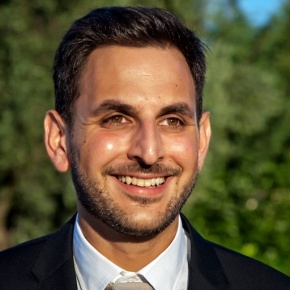 Konstantinos Geroulis is Sales Executive at Hellas Sat, a premium satellite communications solutions provider founded in 2001 and acquired by Arabsat, the 6th largest satellite operator in the world in 2013. From the orbital position of 39o East and its ground facilities in Greece and Cyprus, Hellas Sat serves leading DTH operators, enterprises and governments that want to expand connectivity to every location of their network over Europe, Middle East and Southern Africa. Konstantinos joined Hellas Sat in January 2008 as a Satellite Engineer, certified by EADS-Astrium, involved in daily operations of monitoring and control of Hellas Sat 2 satellite and specialized in spacecraft’s Electrical Subsystem. In May 2014, he joined the Commercial Dept. and since then he is in charge of Sales in Europe & Middle East.